After his Duel with Sora Shiunin, Yuya wakes up back in his hideout, where his alter egos tell him about a mysterious power called the Adam Factor. 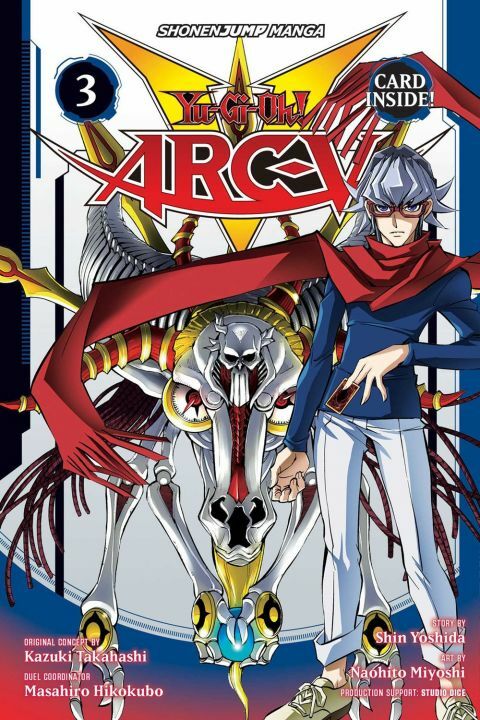 Yuya's quest to learn the secret of the Adam Factor and its connection to the Genesis Omega Dragon will take him into the lost memories of his past--and bring him face-to-face with his rival Reiji Akaba! Other products for "Yu-Gi-Oh!" in "Books"
Other products for "Yu-Gi-Oh!" in "DVDs"
Other products for "Yu-Gi-Oh!" in "Figures"
Other products for "Yu-Gi-Oh!" in "Games"